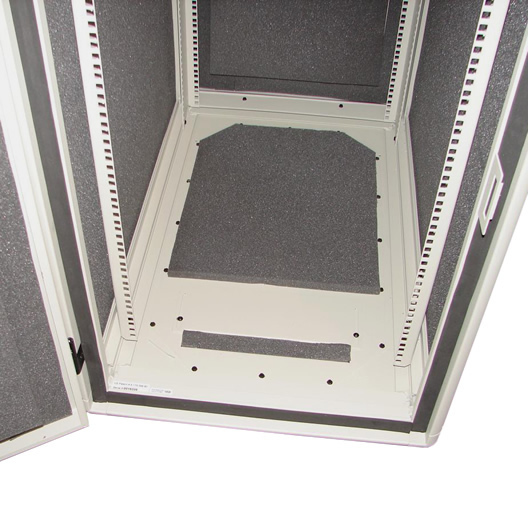 The AcoustiQuiet™ is a range of rackmount cabinets designed to significantly reduce noise from loud rack-mounted equipment. 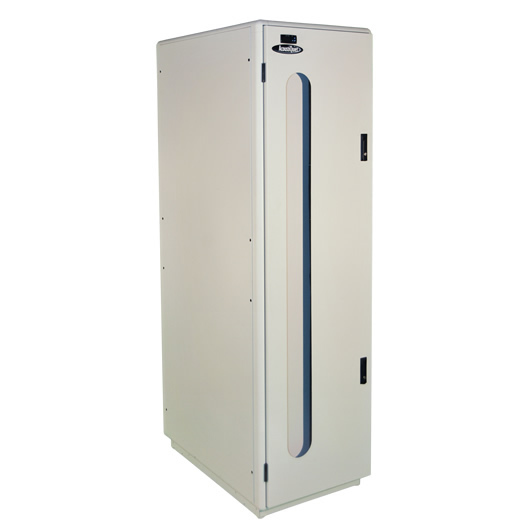 With integrated acoustic material, the AcoustiQuiet™ enclosure traps and absorbs undesirable noise while still allowing free air movement and heat exchange within your office / environment. 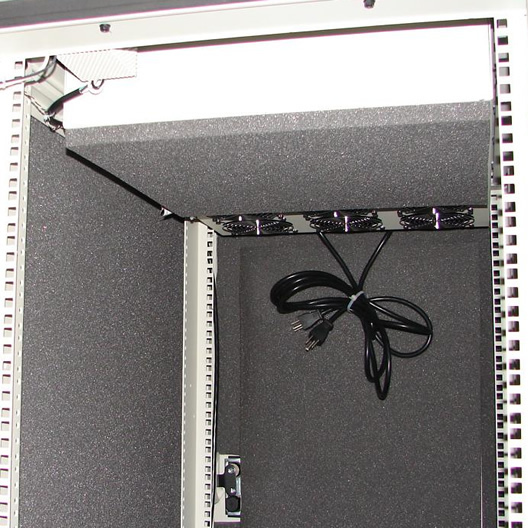 The AcoustiQuiet™ series attenuates up to 20.7dB(A) of noise from the front of the cabinet and as much as 24 dB(A) from the back. 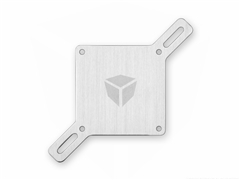 Use this to great advantage when setting the server rack in a room that is an active working environment. 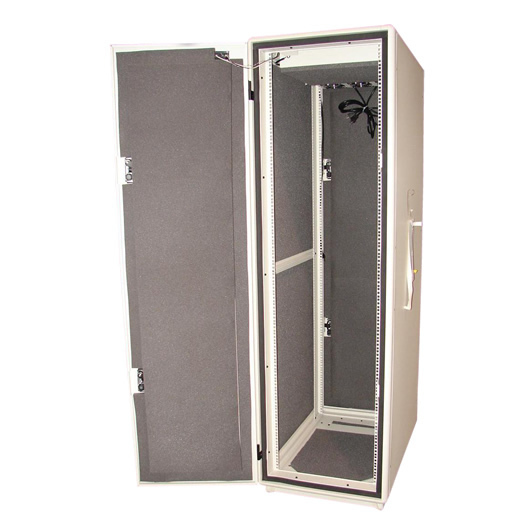 The AcoustiQuiet™ is available in multiple sizes - 24U, 35U, 44U and has useable rail to tail depths of 36 inches and 42 inches. Construction Made in the U.S.A. of American Finished Steel and independently tested by a third party to verify sound reduction. 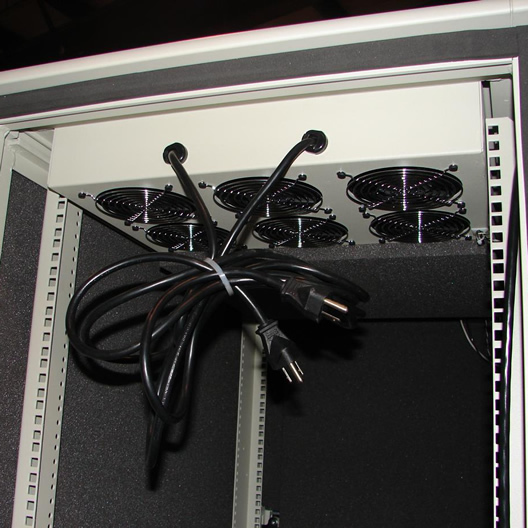 Fans Solid top panel includes a 6-fan tray (4" 52 cfm fans UL Cert with guards), foam sealing tape and acoustic lining. Temperature Display Temperature display mounted at upper LH corner includes temperature probe on a 3ft lead wire. 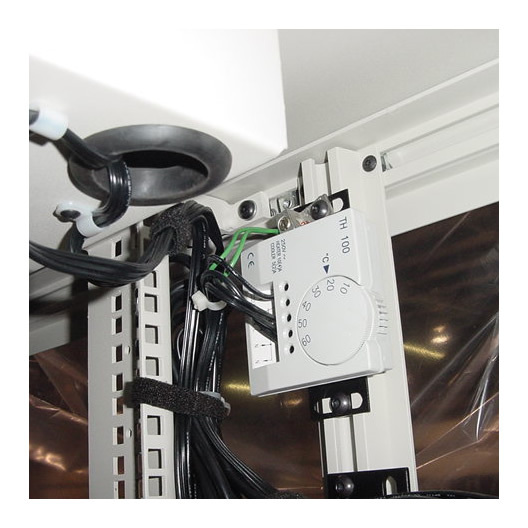 Optional temperature monitor can be purchased if desired. Security 2 key lockable swing door handles per door, front and rear. Optional key lockable side panels. 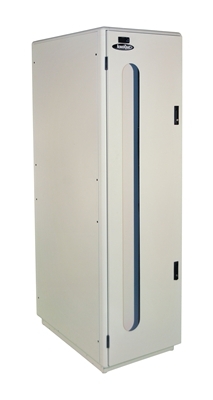 Vented front and rear doors have full acoustic lining, side panels have full acoustic lining. Cabinet Features Low profile casters and leveling feet, 4 post rack with square fixing holes ( adjustable front & rear), internal temperature display, removable side panels for easy access. Mounting Rails 2 sets of "L" shaped infinitely adjustable universal square hole mounting rails on a patented aluminum extruded welded frame. 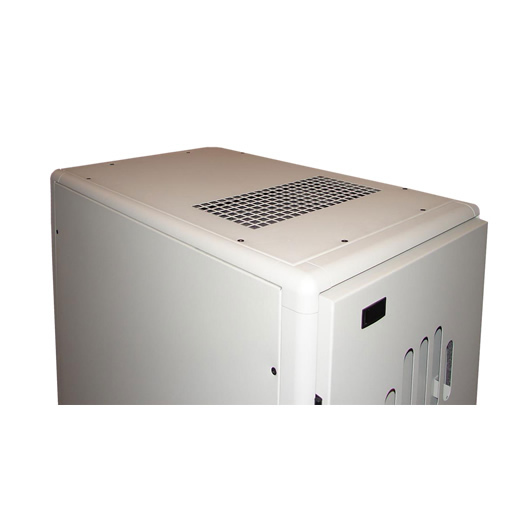 Optional Accessories Earth/Grounding Kit, Thermostatic fan control, General 19" rackmount accessories. Cable Entry Standard Located at the bottom rear of the cabinet (alternative locations available). 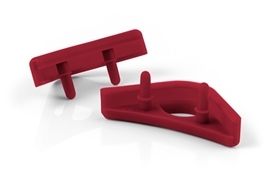 Dimensions: 2" x 12" (accommodates approx. 500 CAT 5 cables)..
Max. distributed Load 1200 lbs.on castors - 2000lbs. on plinth. Finish Textured powder coat finish with 7 standard colors to choose from. Delivery and Assembly Ships completely assembled.